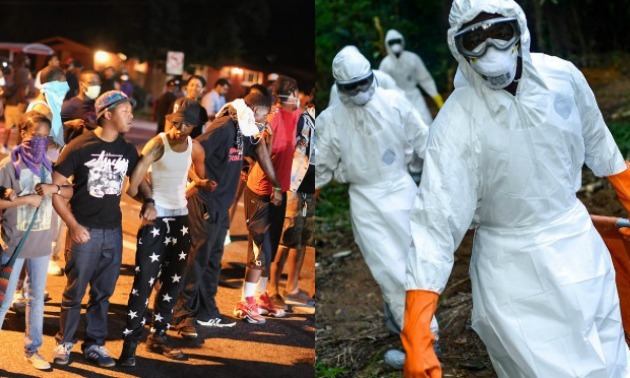 When TIME Magazine released its finalists for Person of the Year of 2014, it was basically down to the Ferguson protestors and Ebola caretakers. I was hopeful for the protestors as I was moved by the people across America performing die-ins and marching in the streets for Mike Brown and Eric Garner. While we’ve been here before, this time, the passion felt more intrinsic than ever. At first, I saw the Ebola caretakers as a fantastic second choice for Person of the Year. So many of us wouldn’t even know where to start in caring for someone with such a rare disease, and the individuals that have been trained to get our bodies back to health, really stepped up as saviors of a worldwide epidemic. I definitely applaud them. When it was revealed that the Person of the Year went to the Ebola Doctors, I did feel a jolt from within. Like, was TIME magazine afraid to honor the protestors? No movement this year and in recent years was more impactful than the protestors. Why weren’t they honored? I immediately checked myself however. It’s not as if the caretakers, and in particular the Liberian Dr. Jerry Brown who is on TIME’s Person of the Year cover, did not deserve the title, but I felt something more about why the protestors weren’t chosen. 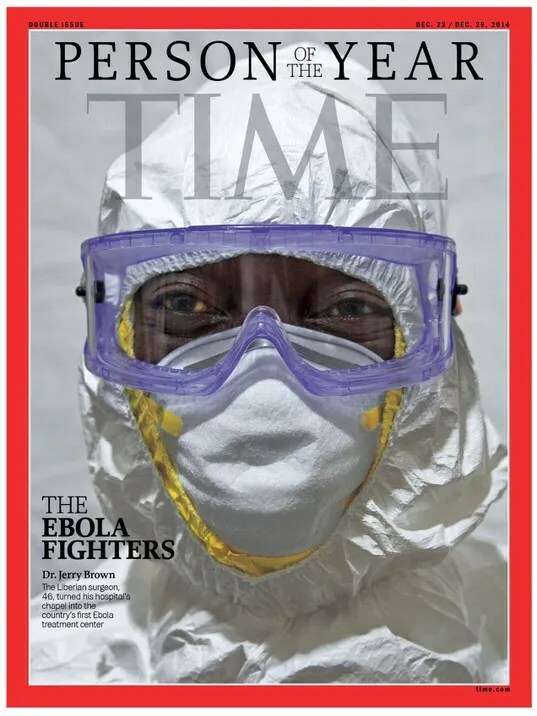 I feel like TIME magazine chose the caretakers because Ebola is rare disease, at least stateside. Maybe to us Americans, Ebola was a once in a lifetime occasion, a sudden moment of scare for us like SARS was (remember that one?) While the frenzy has died down, for all the doctors and nurses that adhered to it, they were in harm’s way. But wait? So weren’t the protestors when police forces in Missouri launched tear gas on innocent and peaceful activists? The protestors without permission from anyone and even political leaders like Al Sharpton, galvanized Ferguson and eventually New York, and across the U.S. following the terrible and shocking non-indictments of Darren Wilson, and soon Daniel Panatelo. I feel as if TIME Magazine knows the protestors weren’t just symbolic of 2014, but of a bigger picture. Like, we’ll be here again, because in order for these protests to work, it has to trek past December 31, 2014. The efforts and presence of the protestors-despite some violent altercations and the media deliberately misconstruing or selecting images, were amazing and inspiring. And none of us saw this coming when 2014 began. It was a year that will end with so many declaring to the world that for once and for all, Black Lives Matter. I almost can’t even remember the news stories that occurred prior to the killing of Michael Bown on August 9th, aside from feminism still a hot topic and the mortifying disclosed tape of Janay and Ray Rice’s domestic abuse in a public elevator. From August 9th onward, it was a battlefield for an America that was better than was it was telling the world of how it treats its people of color. And with the threat of Ebola on the rise back in October and November, I remember having real feelings of concerned for its outbreak and I hated how the usual round-up of idiots used it as an excuse to be racist towards Africans. The more I thought about the Ebola doctors as Person of the Year, I warmed up to them deserving the title. I think I was at first siding with the protestors because it felt more at home. Still, both events of 2014 involved African-Americans, people of color and how I observed people’s reactions to these definitive changes in our everyday lives and international cultures. Neither the caretakers or protestors healed and fought for prizes. They were doing what they felt was right. The Ebola doctors were unique to 2014 and I am grateful for their service to the thousands that need treatment. I also hope that the impact of the Ferguson protestors are not soon forgotten years from now, or in present-day, taken for granted. I salute you all.